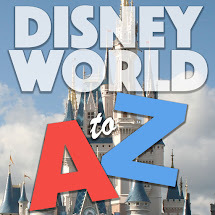 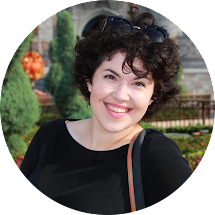 There are lots of elements to plan when it comes to your Disney World vacation...and not least among them is your dessert schedule. 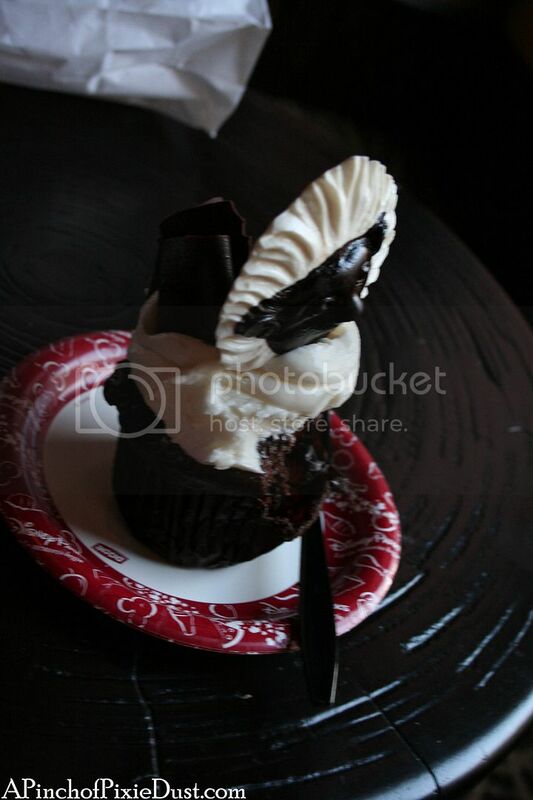 It's easy to get overwhelmed by Disney cupcakes because there are dozens and dozens all around the parks and resorts. 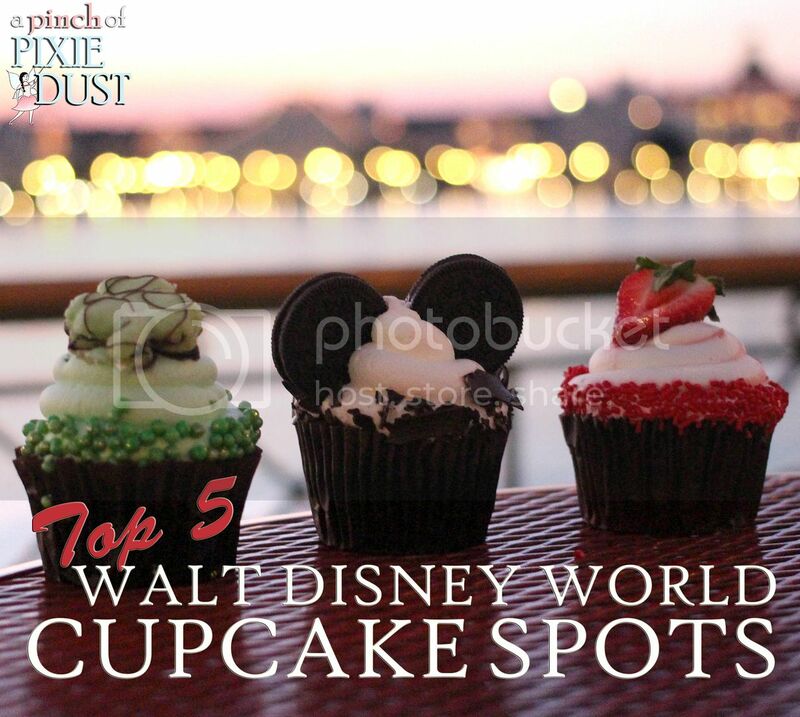 I've got an extensive visual list over on my cupcake page, and there are great cupcake crawls and reviews out there as well...but today we're going to streamline things and focus on just the cream of the crop, the best of the best - the Top 5 Must-Do Cupcake Spots at Walt Disney World! 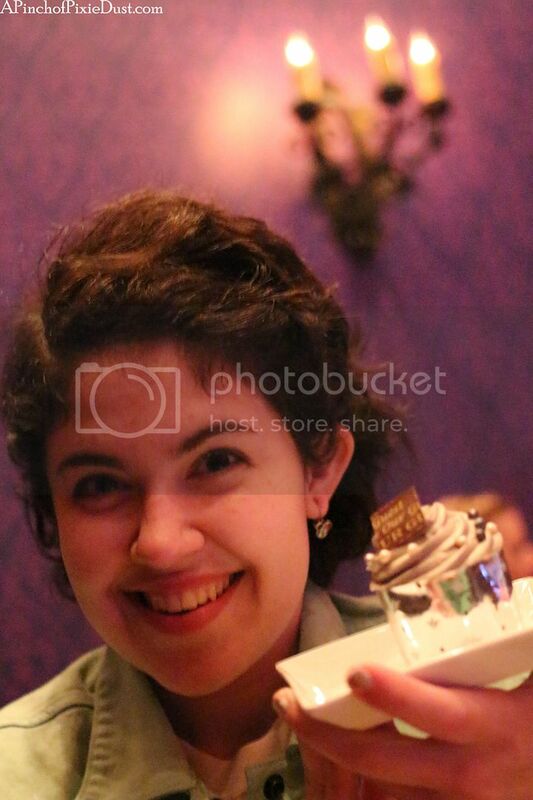 Ahhhh...there they are. 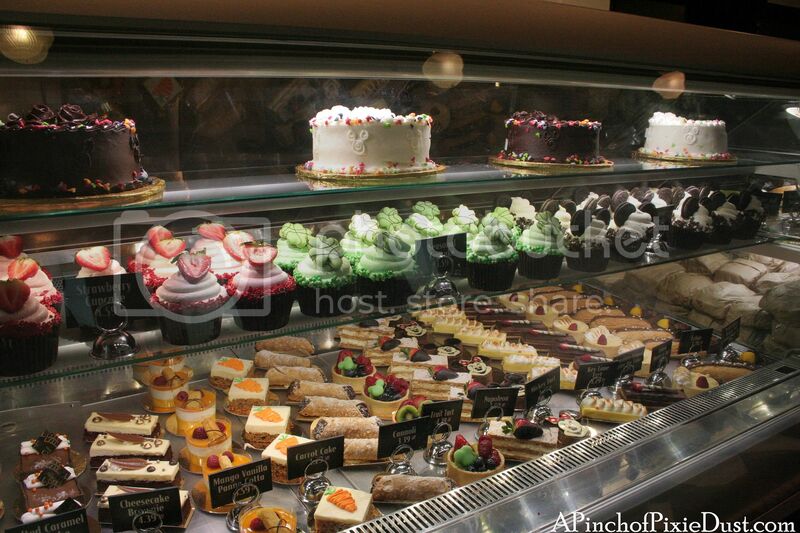 So much deliciousness. 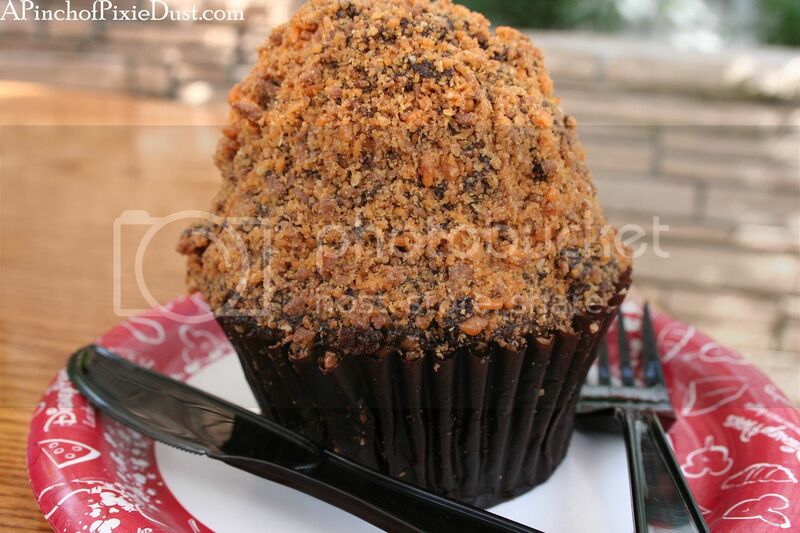 The cupcake selections do change unexpectedly at Disney bakeries, cafes, and food courts - but these are five places that have had reliably amazing cupcakes year-round...whether they're seasonal sweets or regularly-appearing favorites! 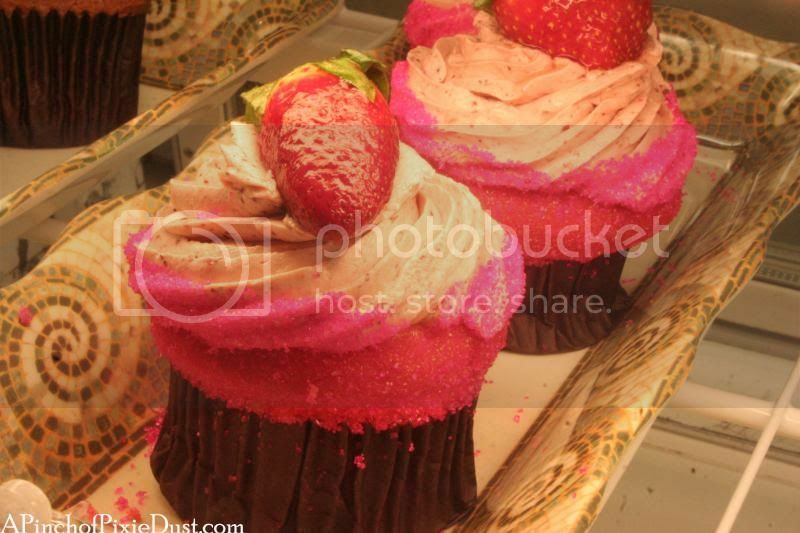 ...like a strawberry and cream cupcake for the summer and a cute gingerbread cupcake bedecked with Mickey Santa ears for the holidays. 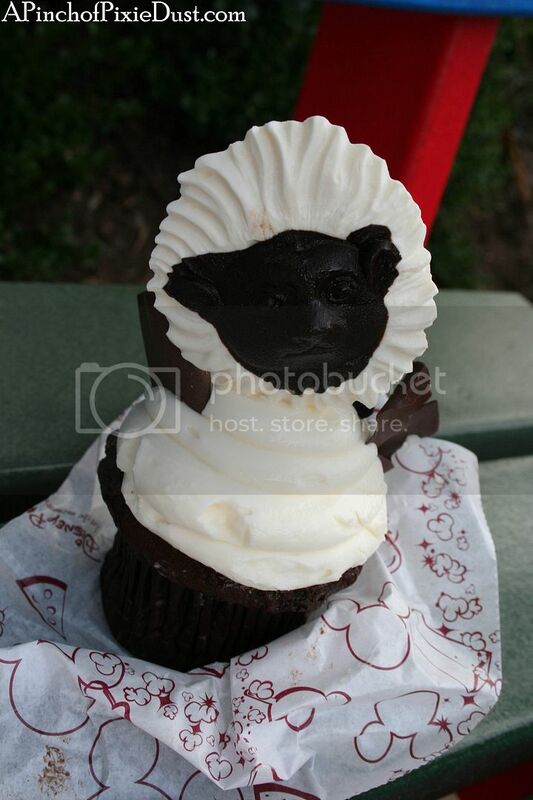 The force is strong here...they also have Darth Vader and Yoda cupcakes for Star Wars Weekends! 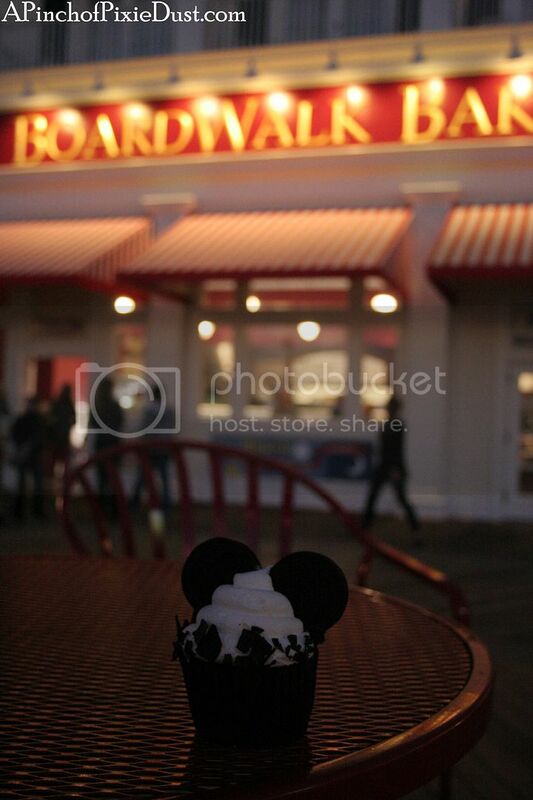 The only problem with the Boardwalk Bakery as a cupcake spot is that it has so many other tasty desserts that will tempt you as well! 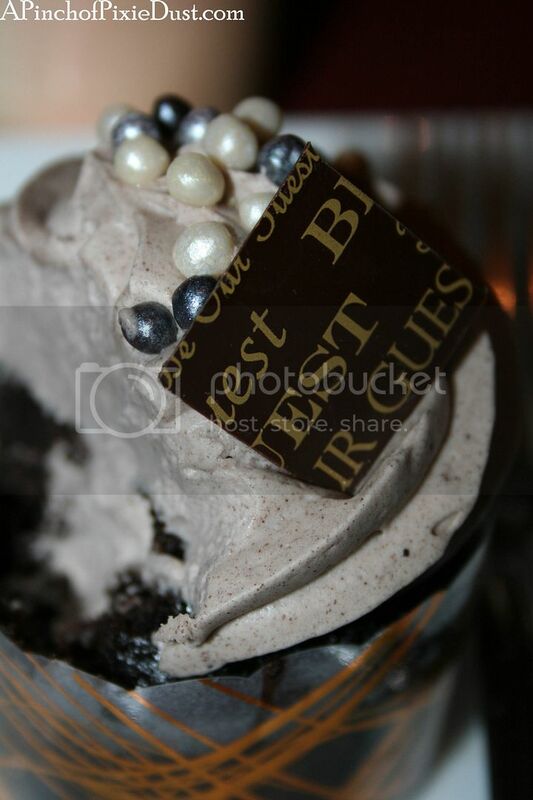 But trust me, these cupcakes are NOT-TO-BE-MISSED. 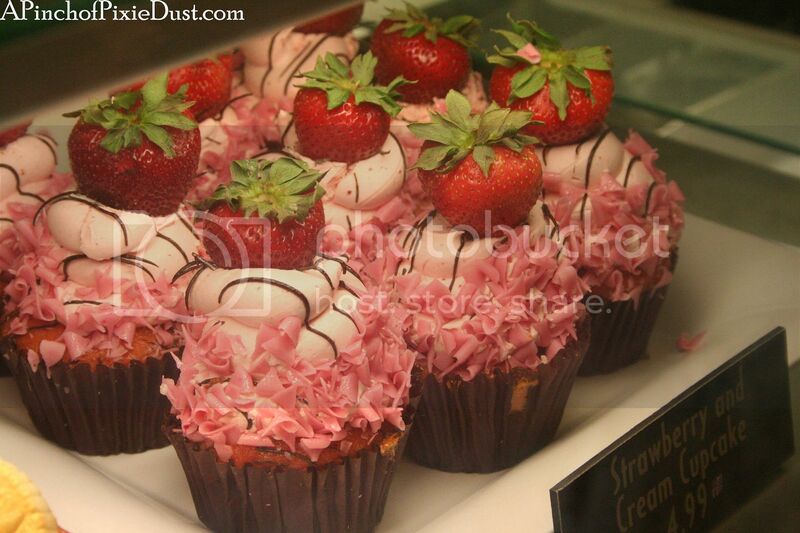 The two year-round stars are the oreo bon-bon and the strawberry. 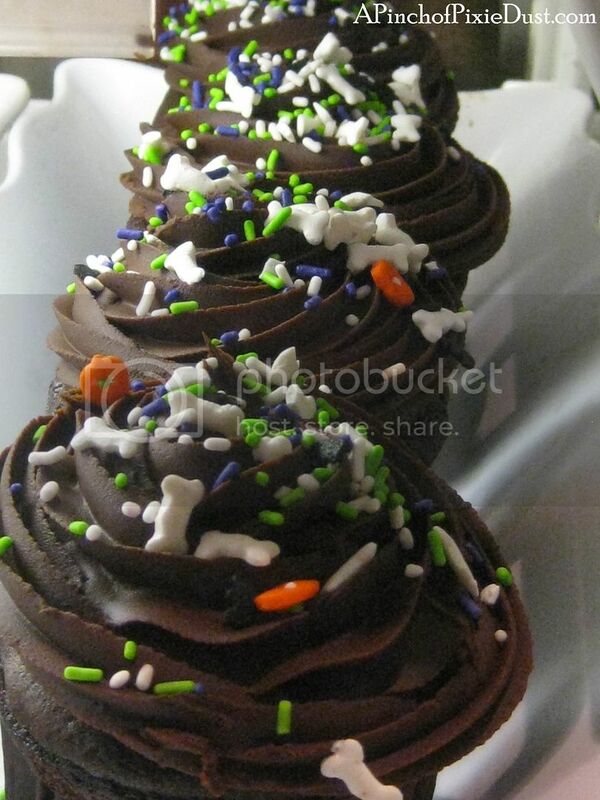 The icing and the filling are as light as air, and the ratio of cake to icing is perfect! 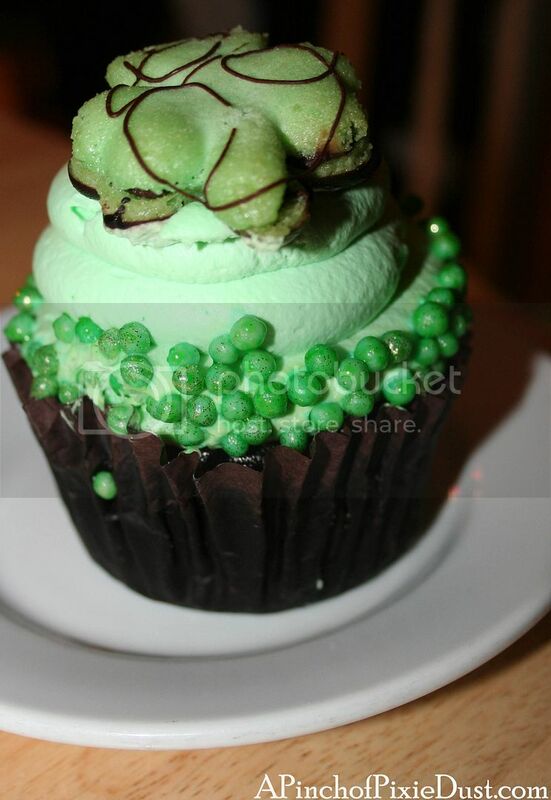 The Boardwalk Bakery can also be depended on for stupendous seasonal cupcakes - above is a mint St. Patrick's Day cupcake with a tasty shamrock macaroon on top and on the right an amazing peppermint cupcake for the holidays! 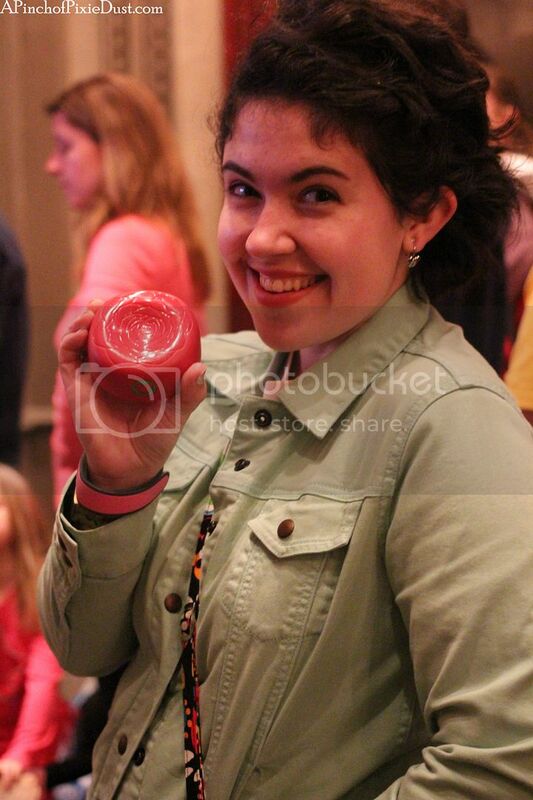 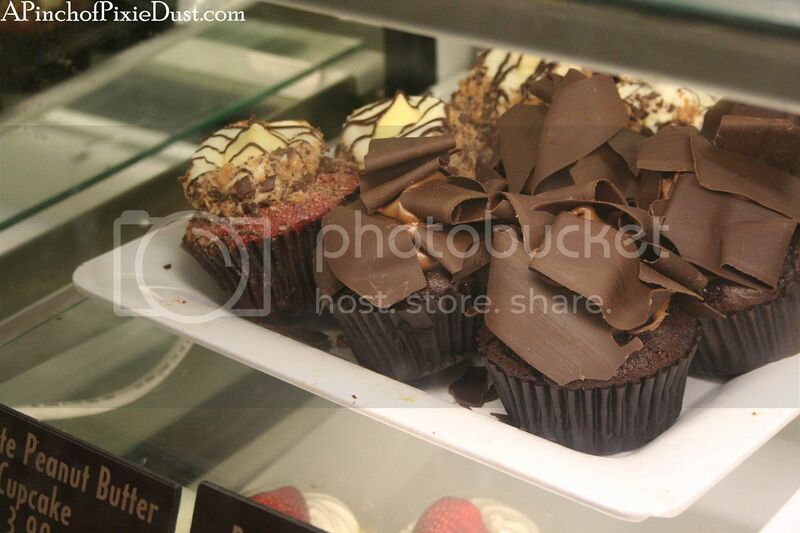 Next on our list is the counter service restaurant at the Wilderness Lodge. 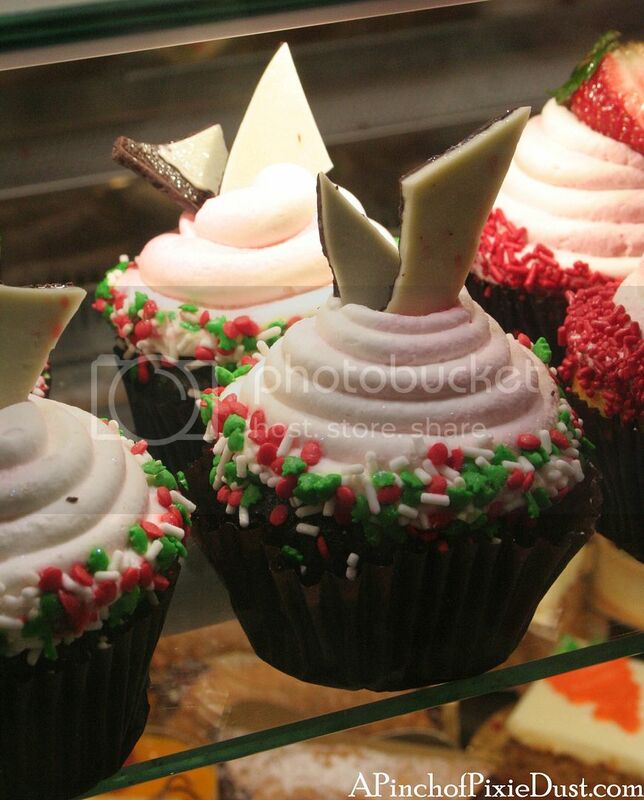 Many resort food courts - at the deluxe resorts especially - feature lovely cupcakes, and Roaring Fork always has something tasty! 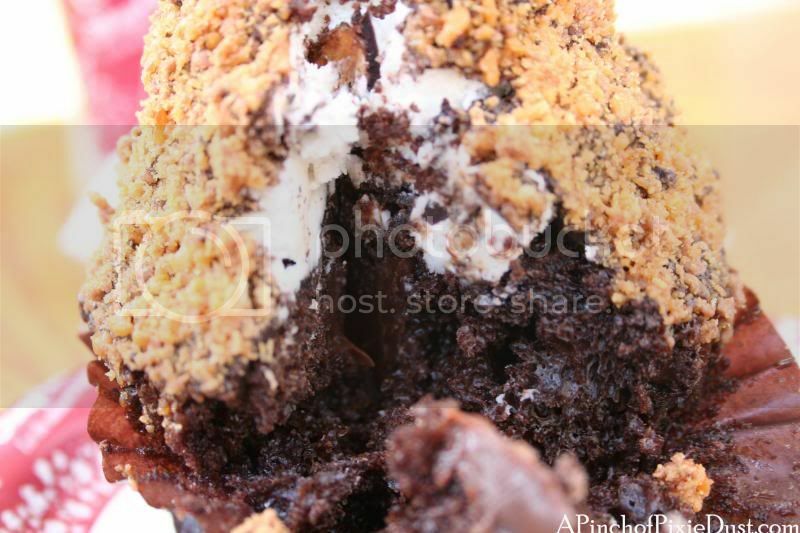 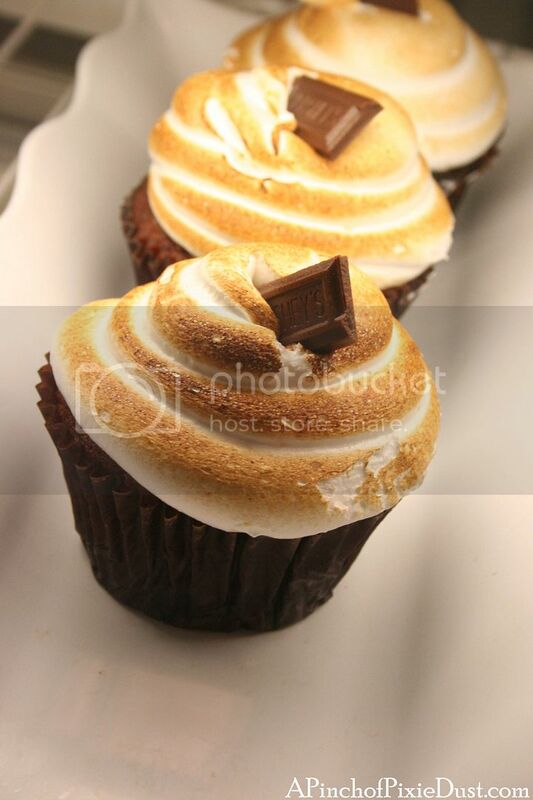 You might find the s'mores cupcake (left), the chocolate caramel cupcake (middle - the sprinkles change out to fit the seasons! 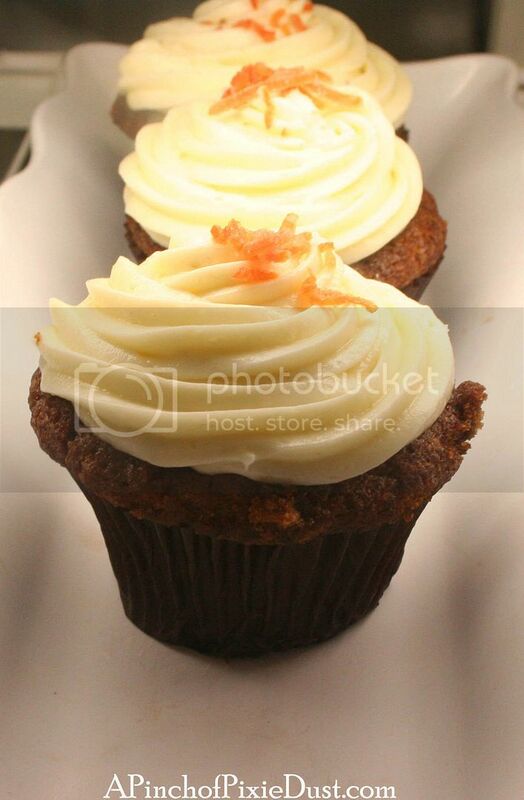 ), or the carrot cupcake (right). 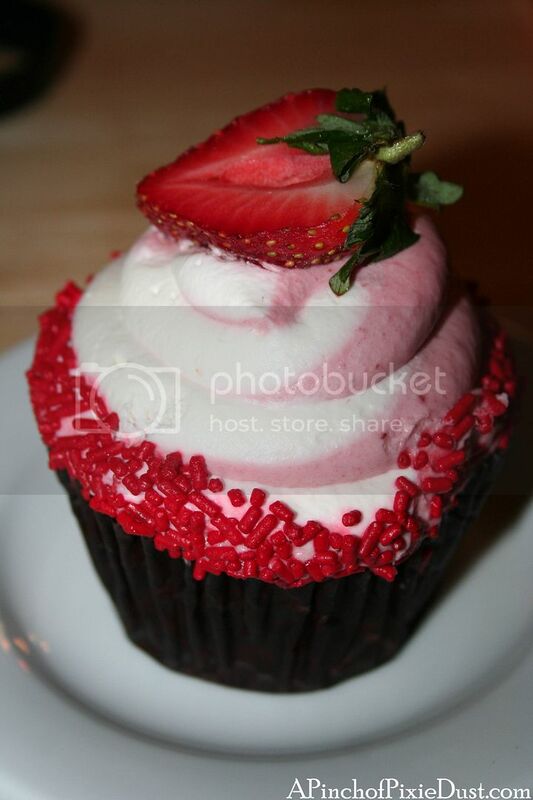 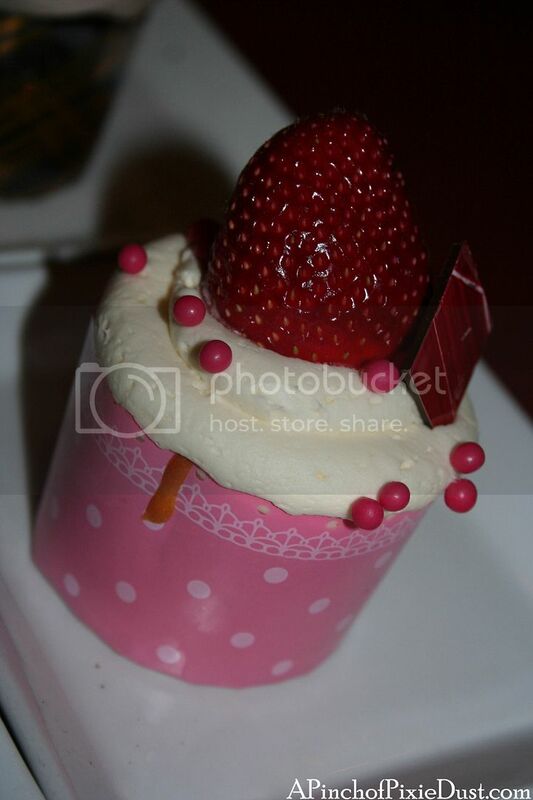 This is the strawberry lemonade cupcake, and it is huge, fruity, and super refreshing! 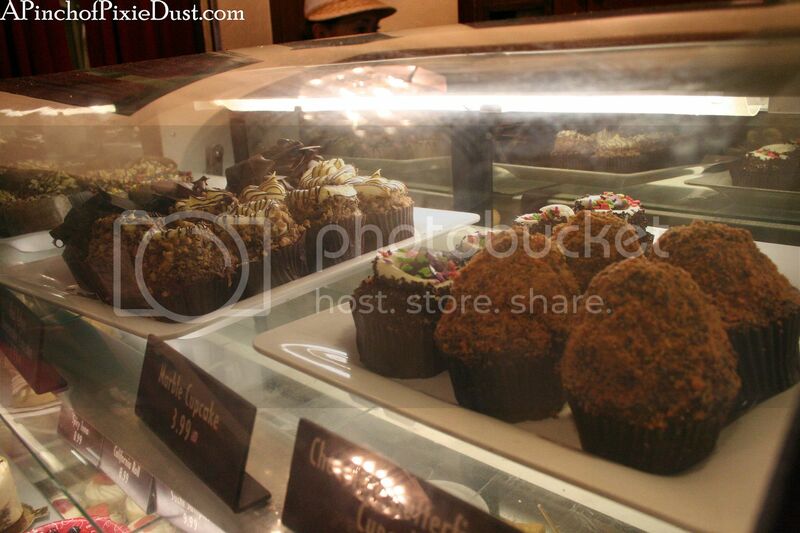 This little coffee window tucked back in Africa at the Animal Kingdom has some wild cupcakes! 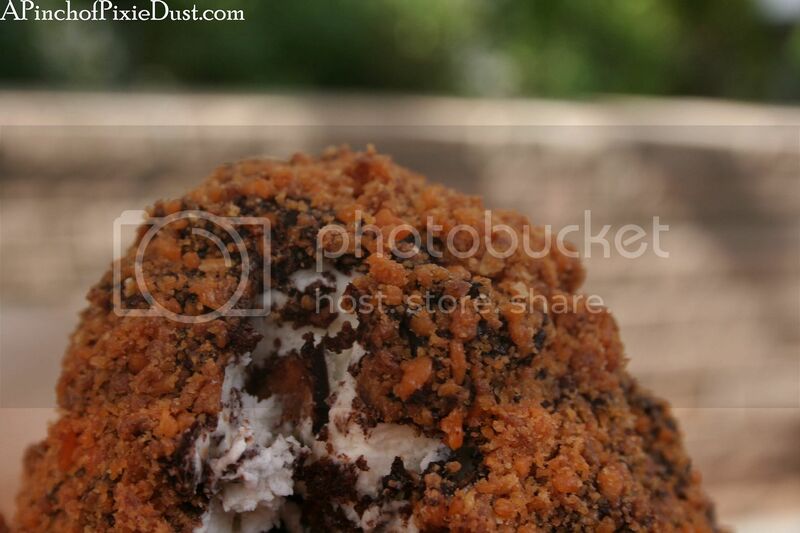 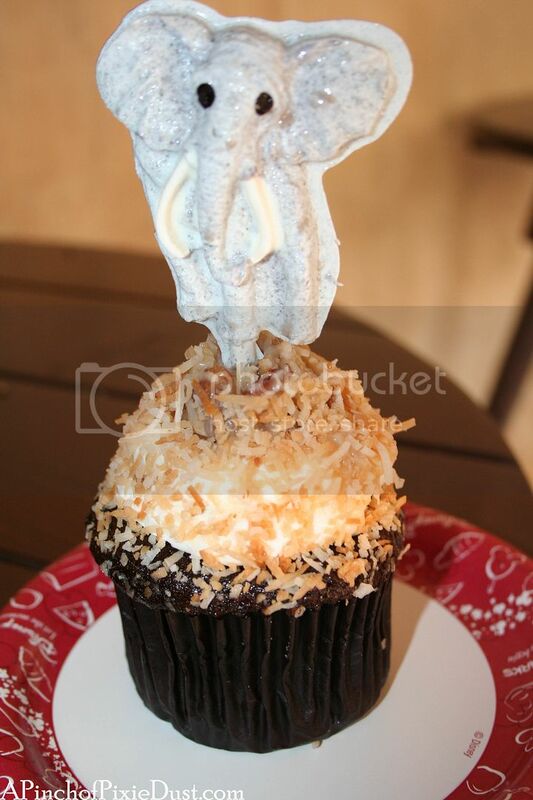 Kusafiri's line-up includes: the White Chocolate Elephant cupcake (with lots of coconut! 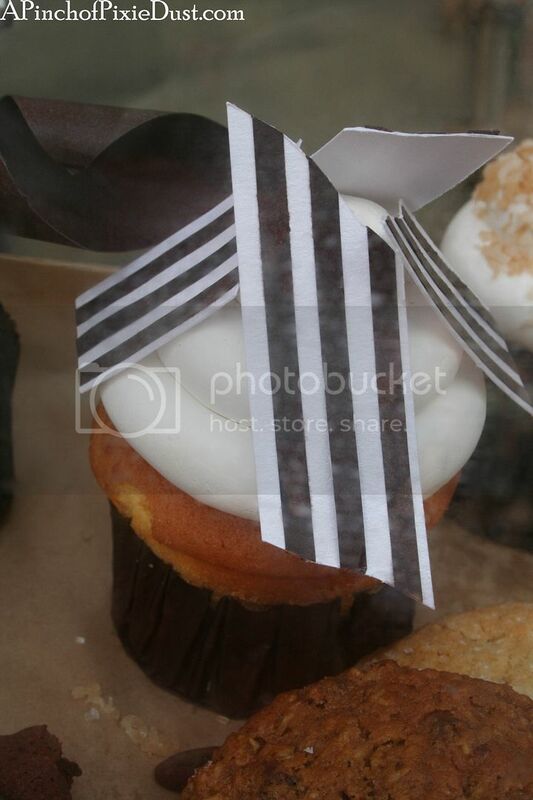 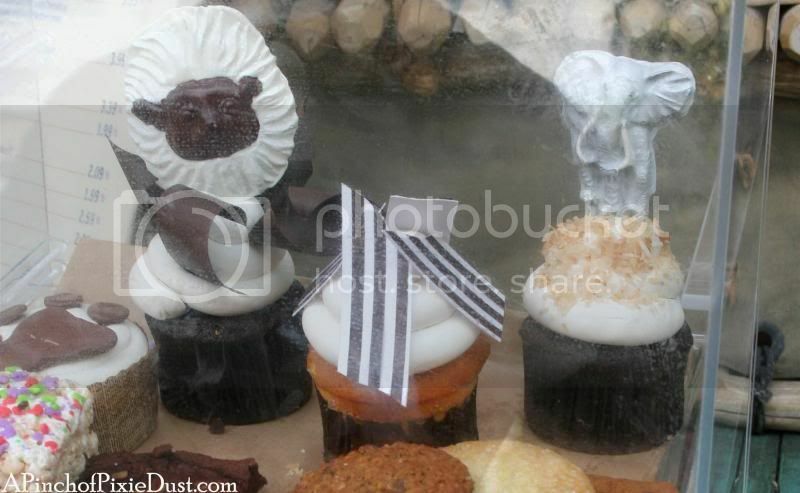 ), the Cotton Top Tamarin cupcake, and the Zebra cupcake. 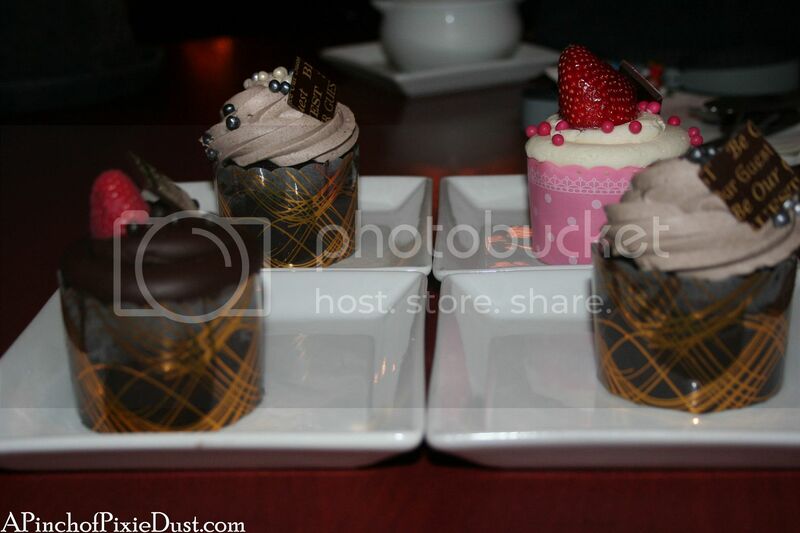 Here we have triple chocolate, "the Master's" with the grey stuff, and strawberry cream cheese. 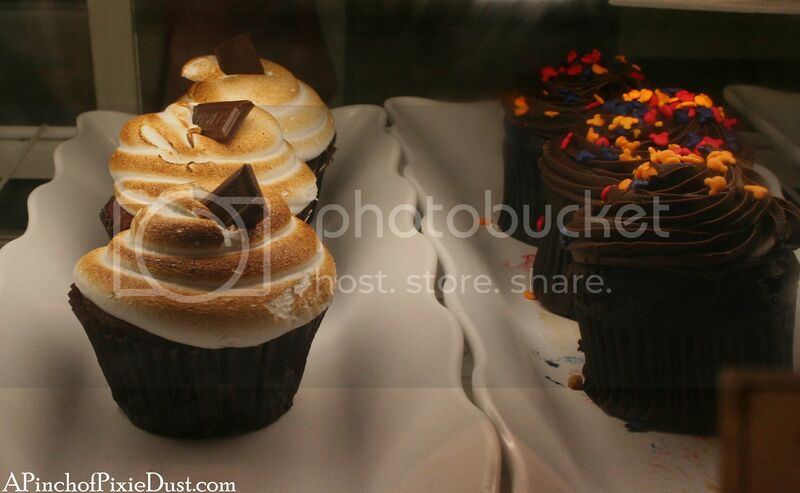 There is also a lemon meringue cupcake, and at the holidays they've had a poisoned apple cupcake and an eggnog cupcake! 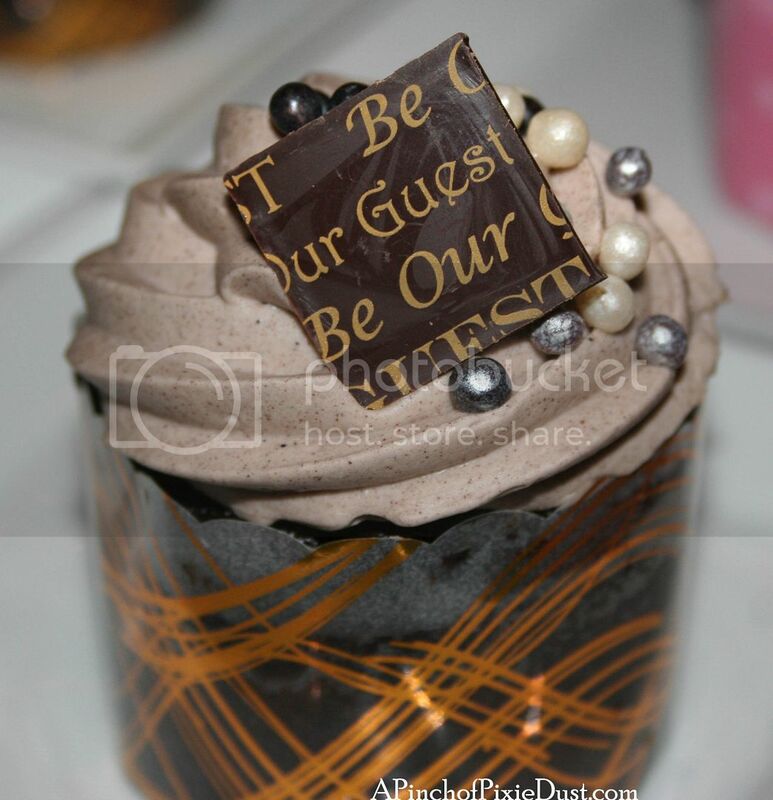 Be Our Guest cupcakes are smaller than other Disney cupcakes but just as delicious - they are a little cheaper as well at $4.19. 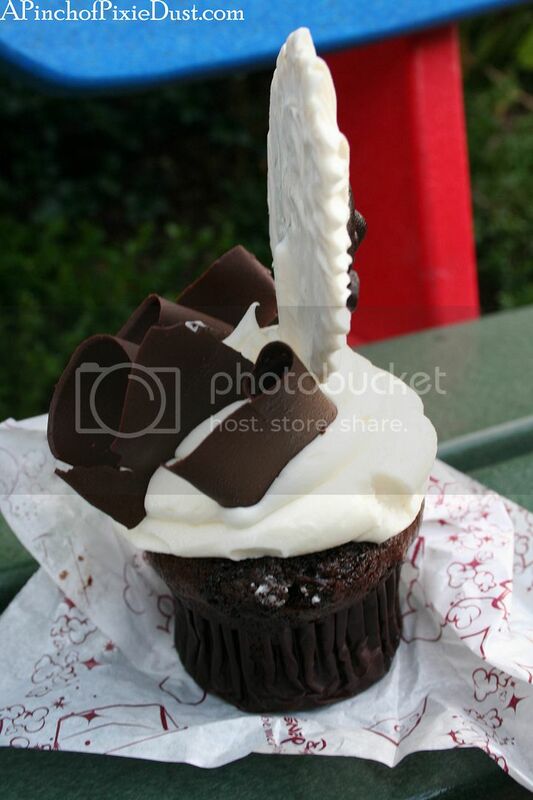 The typical cost of a specialty Disney cupcake is $4.59 or $5.19 - many do count as snacks on the dining plan. 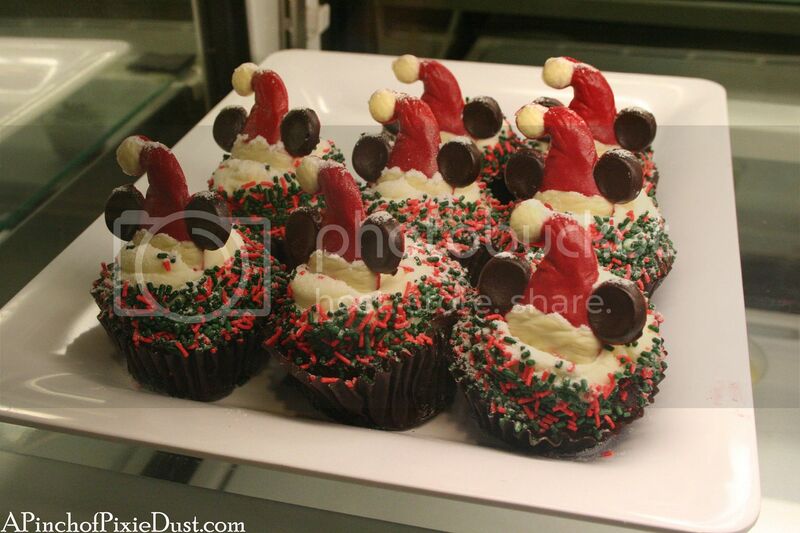 Seasonal cupcakes are usually a dollar or two more. 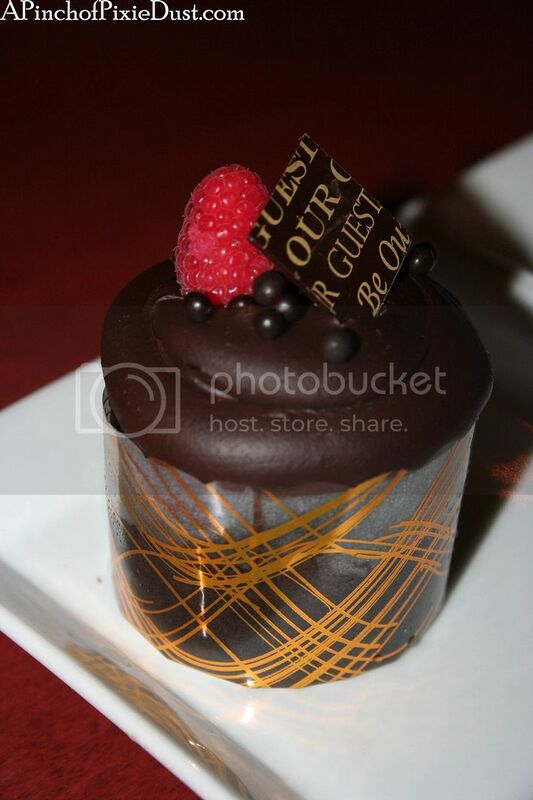 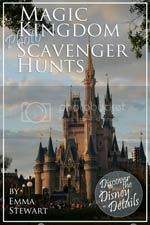 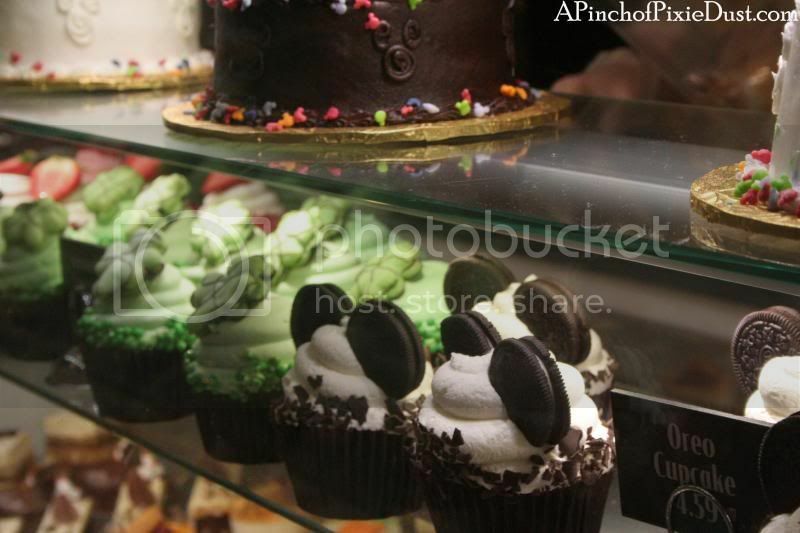 Honorable Cupcake Mentions go to the Contempo Cafe at the Contemporary Resort and the Mara food court at the Animal Kingdom Lodge. 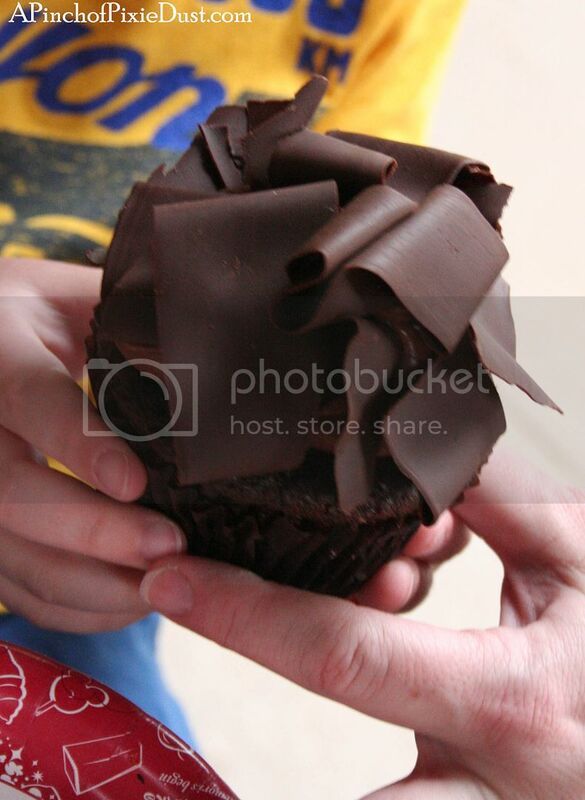 It was a tight race between those two and Roaring Fork! 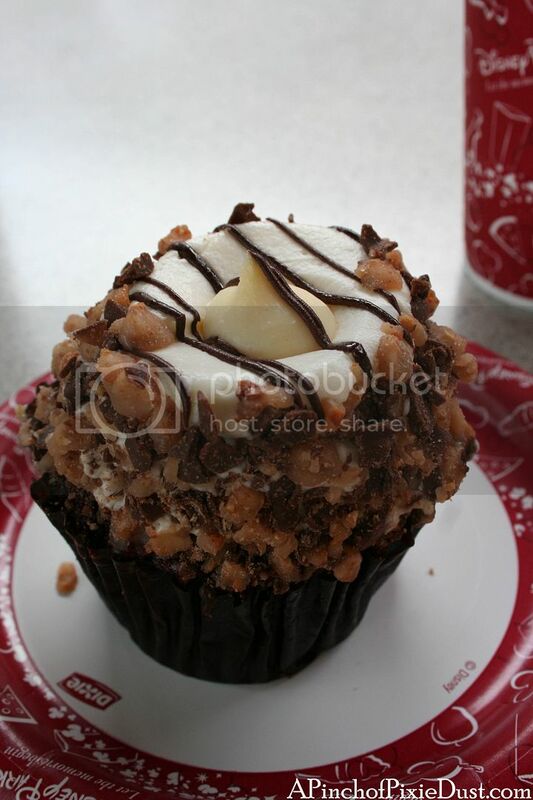 What are YOUR top five Disney World cupcake spots?? 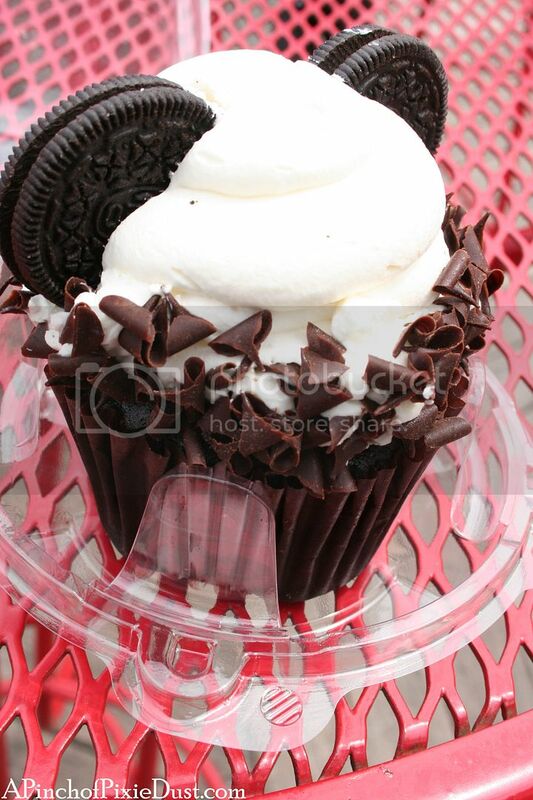 I have seen drink around the world as an adult activity, but my sister makes cupcakes and we wil do cupcake around the world! 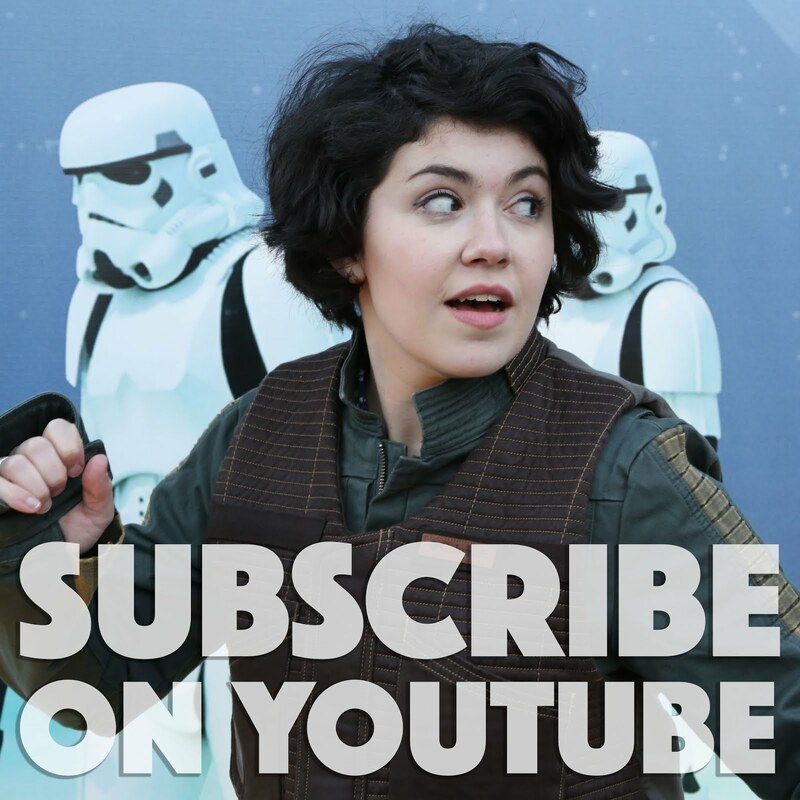 Thnk for the great tips.